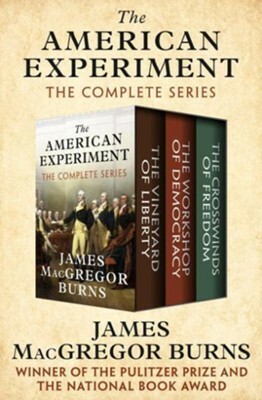 In these three volumes, Pulitzer Prize&shy; and National Book Awardwinner James MacGregor Burns chronicles with depth and narrative panache the most significant cultural, economic, and political events of American history. In The Vineyard of Liberty, he combines the color and texture of early American life with meticulous scholarship. Focusing on the tensions leading up to the Civil War, Burns brilliantly shows how Americans became divided over the meaning of Liberty. 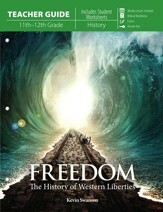 In The Workshop of Democracy, Burns explores more than a half-century of dramatic growth and transformation of the American landscape, through the addition of dozens of new states, the shattering tragedy of the First World War, the explosion of industry, and, in the end, the emergence of the United States as a new global power. 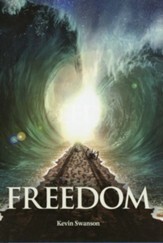 And in The Crosswinds of Freedom, Burns offers an articulate and incisive examination of the US during its rise to become the worlds sole superpowerthrough the Great Depression, the Second World War, the Cold War, and the rapid pace of technological change that gave rise to the "American Century." James MacGregor Burns (19182014) was a bestselling American historian and political scientist whose work earned both the National Book Award and a Pulitzer Prize. Born in Boston, Burns fell in love with politics and history at an early age. He earned his BA at Williams College, where he returned to teach history and political science after obtaining his PhD at Harvard and serving in World War II. Burnss two-volume biography of Franklin D. Roosevelt is considered the definitive examination of the politicians rise to power, and his groundbreaking writing on the subject of political leadership has influenced scholars for decades. Most recently, he served as the Woodrow Wilson Professor of Government Emeritus at Williams College and as Distinguished Leadership Scholar at the University of Maryland. I'm the author/artist and I want to review The American Experiment: The Vineyard of Liberty, The Workshop of Democracy, and The Crosswinds of Freedom - eBook.